My dad’s Facebook account was hacked from his mobile phone and it sent intimate pics of him to everyone in the family. Christmas hasn’t been the same since. Cybersecurity is no laughing matter. 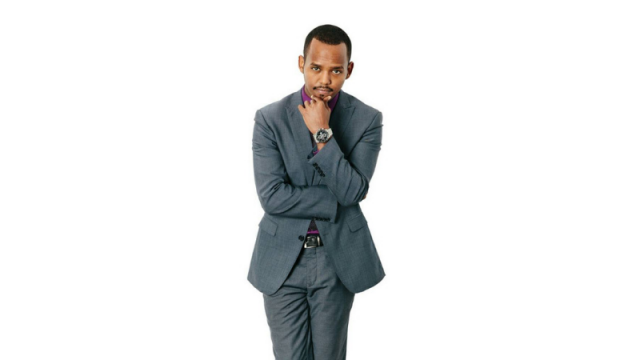 Now Australian/Ethiopian comedian Joe White is helping global cybersecurity provider Kaspersky Lab use humour to entertain and educate consumers about online threats. Internet scams and falling prey to them can make life a living hell and sadly it’s happening more and more often in modern society. That means cybersecurity is not usually seen as a laughing matter. But when it comes to getting the message out there about those threats, laughter may just be the best medicine. In Australia, Kaspersky Lab is best known as a sponsor of major events like the Grand Prix. But to help get the message across about this very dry topic it decided to inject it with laughter, and have partnered with Australian comedian Joe White. Together they have created a five-minute comedy video and Kaspersky Lab is supporting Joe’s upcoming season of Ethiopian & Still Not Hungry at the Melbourne International Comedy Festival. Kaspersky Lab General Manager for Australia and New Zealand Margrith Appleby said it became clear a fresh approach was needed to get people to pay attention to cybersecurity. “Who hasn’t received a scam email? Who then, unfortunately, clicked on a dodgy link or opened a virus ridden file? Unfortunately getting people to recognise these risks has proved difficult,” said Margrith. Joe recently took out the Fringe World Perth 2019 Best Comedy Weekly Award for his show, Best of Africa. The New York Post has dubbed him Australia’s answer to Trevor Noah, he performs right across Australia and Canada, and when he’s not on stage he is an ambassador for the Katina Woodruff Children’s Foundation. Joe is upfront about how cybersecurity hasn’t been something he paid attention to until now. “But it’s important to be aware of, even if just helps avoid answering emails from potential cousins who won millions of dollars and want to split it with me,” he said. As well as the video Joe will host five Kaspersky Lab specials of his new show, Ethiopian & Still Not Hungry, during the Melbourne International Comedy Festival. He will also donate 10% of his total ticket sales to Multicultural Arts Victoria to assist struggling artists. Ethiopian & Still Not Hungry at Melbourne International Comedy Festival on Friday and Saturday nights from 29 March to 20 April at the Afro Hub and tickets can be purchased here.